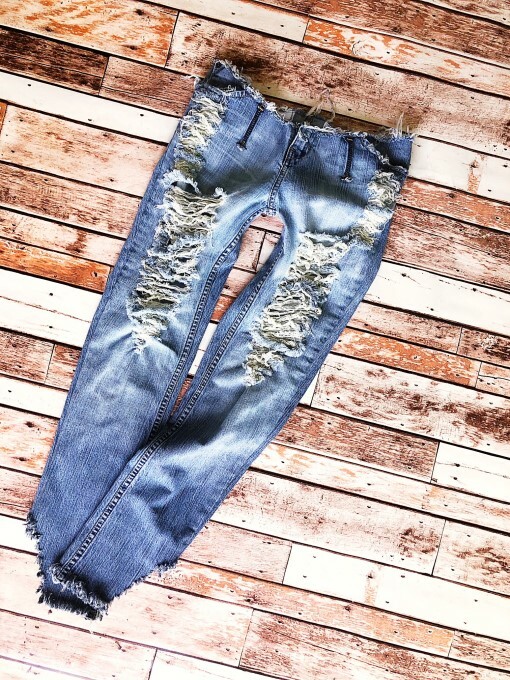 Extreme shredded jeans. Womens custom clothing. Extreme shredded skinnies. Ready to ship. Catalog > Extreme shredded skinnies. Ready to ship. Edgy and girly. 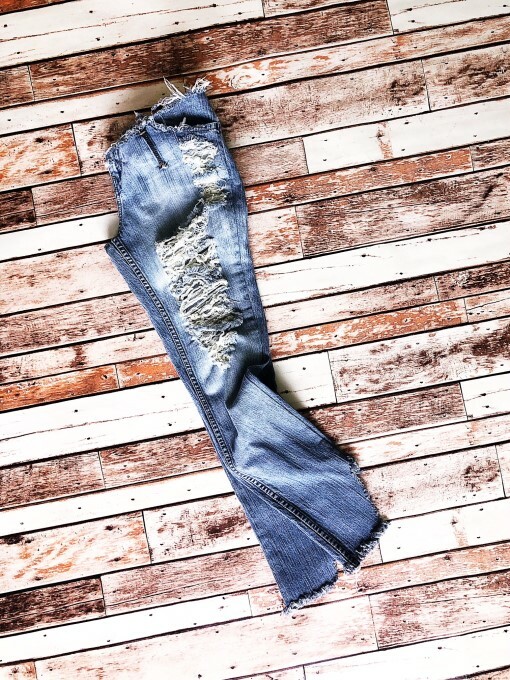 One of a kind jeans. I like mine with heels and an oversized sweater. This is the only pair I have, ready to ship. WAIST . 34" at waistband. This pair will ship within three days of purchase.